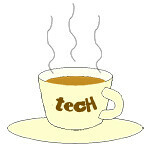 battery « Tech bytes for tea? Available in multiple battery sizes (1X, 2X, 3X, 5X, 8X), the powerstation line provides dynamic, on-the-go charging options with up to 15,000mAh. Prices below. Users will enjoy up to 54 additional hours of talk time, 59 additional hours of web browsing, 59 additional hours of video playback, and 272 additional hours of audio time. Mobile battery case maker Mophie has launched its next generation powerstation lineup of universal battery solutions for mobile devices. The new mophie powerstation 3X and mophie powerstation 8X are currently available in all mophie authorised dealers at S$119 and S$224 respectively. This marks the release of mophie’s slimmest collection of universal power products to date. These quick-charging devices sport an aluminum finish, and integrate with the company’s mobile power management app, mophie Power. Also showcased at the launch in Suntec City in Singapore was this waterproof batterycase from Mophie. The JuicePack H2PRO for iPhone 6 & iPhone 6 plus are now available in black for S$189 in Singapore. Waterproof, dropproof, dustproof, dirtproof. 2,750mAh battery, for 14hrs additional talk time, 10hrs additional web browsing, 11hrs additional video playback, 50hrs additional music playback. The mophie Power app allows users to concurringly monitor and manage the battery life of their smartphone and bluetooth-enabled powerstation units (5x and 8x models only). The new charger has 20,000 mAh and 3 output ports for laptops, tablets and smartphones. Available in Singapore now – S$249. The XP20000 portable charger has a rated output of DC 19V, 3A (for charging laptops), DC5V, 2.1A (USB port for charging tablets), and DC5V, 1A (USB port for charging smartphones). Weighing less than 500 grams, the light and portable Energizer Energi-to-go XP20000 contains a super high density battery which can power smartphones with another 40 hours of battery life, tablets with another 20 hours of battery life, and laptops with another 6.5 hours of battery life. The XP20000 comes in white and measures 19.5 x 16.5 x 11 cm. Besides laptops, tablets and smartphones, the XP20000 supports video and digital cameras, mobile gaming devices, mobile Bluetooth headsets, and many other mobile devices. It is safe for commercial travel, making it suitable for the mobile worker with a laptop and multiple mobile devices, and for sharing amongst friends and families on vacation. The Energizer Energi-to-go XP20000 takes 3.5 hours to charge, and can be charged while discharging to other devices. The ASUS Fonepad 8 is one of the largest and most affordable phablet on the market. At only S$299, it provides you with all the features and functionality that you need out of a tablet/phone combo. ASUS designed the Fonepad series with affordability in mind. 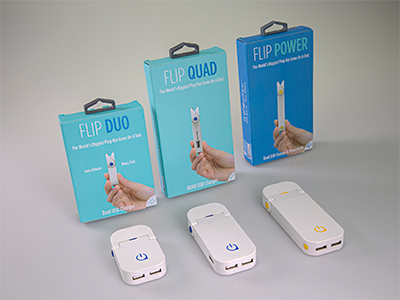 The Fonepad 6 and Fonepad 7 were released in 2013, while the Fonepad 8 were launched in late 2014. The dual-SIM gives you much needed flexibility especially when you’re travelling and wants to slot in a cheap local SIM, but still wants to remain contactable on your regular number. Two features which impressed me was the dual-SIM capability and long battery life of the ASUS Fonepad 8 phablet. It is easy to slot in/out the two micro-SIM cards as both slots are in a special compartment on the left side of the phablet, along with the microSD card slot, that allows you to expand the 8 or 16GB internal storage of the Fonepad 8 by up to another 64GB. Top right corner of the Fonepad 8. The phone supports 3G for both SIM cards but not 4G/LTE. I found usage of dual SIM straightforward like in other dual-SIM Android phones. The internal, non-removable 4,000mAh battery provided long hours of usage without worry of running dry. Even with intense usage and video viewing, the Fonepad 8 easily lasted an entire day and then some. On my more typical day, there was usually at least 20-30 percent battery left at the end of the day. Fonepad 8 is available in four colours—black, white, red and gold. White and gold models include white bezels, while the black and red models feature a black fascia. Out of the box, the pre-loaded ZenUI color scheme matches the device’s back cover color, which is plastic and features a non-slip diamond-pattern coating. ASUS rates the battery life to 14.2 hours of Wi-Fi Web browsing, 12 hours of HD video playback, and 21 hours of 3G talk time. The FantaStick BA700 is an extendable smartphone monopod with detachable remote shutter and external power bank. Available at S$89 at ante@Tangs Orchard Level 3, EpiCentre, EpiLife and istudio. The FantaStick BA700 is available in 6 vibrant colours – Black, Blue, Green, Pink, Red and Orange. The 3-in-1 FantaStick from Ye!! comes with a built-in wireless Bluetooth Remote Shutter and 2,800mAh external power bank. The FantaStick BA700 measures 2.8 x 2.8 x 113cm and weighs 280g. The FantaStick has an adjustable phone holder that fits all phone width ranging from 5.5cm to 8.5cm and is padded with soft EVA for securing the phone in place without scratching it. The FantaStick has a swivel head for multiple-angle shoots. The connection point of the phone holder features a ¼”-20 male thread that is also compatible with compact cameras or camcorders. The stick is constructed in 5-sections, which can be extended from 25cm to 113cm, great for capturing photos or videos overhead. The 2,800mAh lithium-ion rechargeable battery keeps the Bluetooth remote shutter running with a good store of power to spare for charging your smartphones, tablets and other devices via its 2.4A fast-charging output port. Tags:accessories, FantaStick, Lamch, selfie, selfie stick, Singapore, Ye!! Noontec is launching a new card-sized “Giant Mini” power bank (S$89) and the “Polo” lightweight battery pack (S$49). Prices include GST and available at Epilife, HMW, Mustafa, Lucky Store, and Changi Airport (T2 & T3). The new Noontec “Giant Mini” power bank (S$89, right) and the “Polo” lightweight battery pack (S$49, left). Signeo SEA is the exclusive distributor for Noontec’s new power chargers in Singapore. Noontec “Giant Mini” 10,000mAh Ultra Power Bank (white), S$89. The Noontec “Giant Mini” encompasses advanced power batteries generally used in electric cars, which is more efficient during power transfers. The 10,000 mAh power capacity can bring your mobile devices back to life quickly. The “Giant Mini” is designed with a matte polished surface to reduce visible finger print marks. The recessed power button prevents the device from unintended operation.